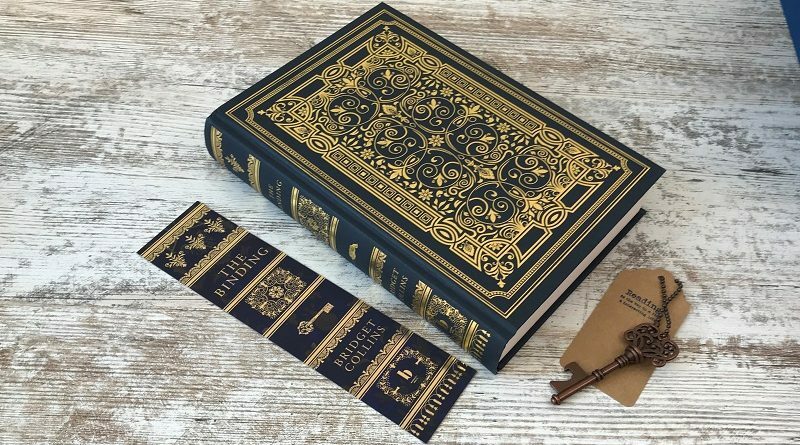 This is a magical, emotional book in which books and book binders have a darker purpose to take away memories and bind them within their pages. This book was included in our February 2019 Science Fiction & Fantasy box. I was lucky enough to read an early advanced edition of this book before much had been advertised about it and I was not sure what to expect. In this universe created by Bridget books are bound memories donated by people for all sorts of reasons. The book explores the consequences of being able to wipe your mind of bad memories and have them bound and locked away in a book. It is also a touching love story and the personal journey of Emmett Farmer. The book feels very intimate as it is written in the first person and follows the story of Emmett in his apprenticeship in the secretive and feared trade of book binding. As Emmett learns more about book binding he struggles with questions about the morality of book binding and his developing relationship with the other main character, Lucian. Then Emmett discovers one of the books stored by his mentor has his own name on it; his own memory has been bound. I don't want to give too much away about the plot, but this book really got me thinking and feeling very emotional. Go into it with an open-mind and an open-heart and I think this book will break your heart in the best possible way! Imagine you could erase grief.